In long, we’ve processed all the images and are uploading them onto the Zooniverse servers. However, it’s taking a long time. A really long time. Since Season 4, the Minnesota Supercomputer Institute (MSI) has switched over to a new system, and it seems like the upload time from this new system is painfully slow. We’ve uploaded over 25% of the images, but it’s taken a couple days uploading non-stop. So best estimate is mid to late next week for when they’ll all be uploaded. We’re trying to coordinate with the staff at MSI to see if they can increase upload speeds for us, but no guarantees. Meanwhile, you can read a guest blog post that I wrote over at Dynamic Ecology. 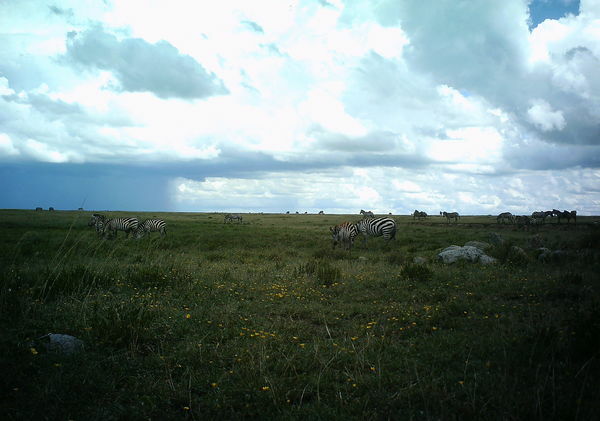 Dynamic Ecology is read by ecologists, so my blog post introduces the concept of citizen science (and Snapshot Serengeti, of course) to professional ecologists who may not be very familiar with it. One question that comes up in the comments is: can you do citizen science if you don’t have cool, awesome animals? Like, what if you have flies or worms or plankton instead? I think the answer is yes. But feel free to give your perspectives in the comments there, too. Right now I’m curating the expert classifications. I’ve allowed the experts to classify an image as “impossible,” which, I know, is totally unfair, since Snapshot Serengeti volunteers don’t get that option. But we all recognize that for some images, it really isn’t possible to figure out what the species is — either because it’s too close or too far or too off the side of the image or too blurry or …. The goal is that whatever our combining method is, it should be able to figure out “impossible” images by combining the non-“impossible” classifications of volunteers. We’ll see if we can do it. 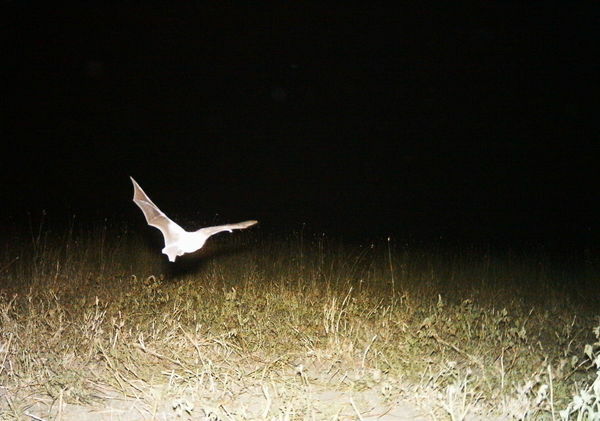 Our friends over at Bat Detective tell us that the glare on the face makes it impossible to truly identify, but they did confirm that it’s a large, insect-eating bat. Anyway, how to classify it? It’s not a bird. It’s not a rodent. And we didn’t allow for an “other” category. I also didn’t think we’d see insects or spiders. Moths fly by, ticks appear on mammal bodies, spiders spin webs in front of the camera and even ants have been seen walking on nearby branches. Again, how should they be classified? Luckily, all these animals we missed from the list are rare enough in our data that when we analyze thousands of images, the small error in species identification won’t matter much. But it’s good to know that these rarely seen animals are there. When Season 5 comes out (soon! ), if you run into anything you think isn’t on our list, please comment in Talk with a hash-tag, so we can make a note of these rarities. Thanks! It’s hard to believe that I’m really and truly done with the Serengeti. 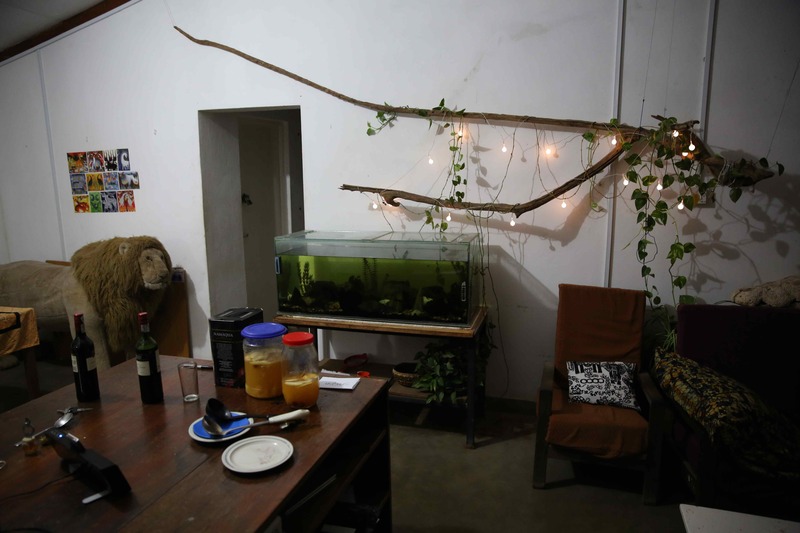 It’s strange to not have a veranda to sit on, and watch the elles or giraffes munch on our trees; see the eyeshine of hyenas lurking in the shadows, hoping for a bite of our dinner. The only wildlife I’ve seen in the last week is squirrels. As entertaining as they are, it’s just not quite the same. had a shower. With hot, running water. The list could go on, especially when it comes to food. But perhaps the most significant thing about this trip home is that, well, I’m here for good. Or as good as “for good” gets in grad school. I’m here, in Minnesota, until I finish my dissertation. What that means is that the next 12 months will be spent furiously analyzing the Snapshot Serengeti data to understand lion/hyena/cheetah/leopard/wild dog interactions, presenting at conferences, writing papers, searching for post-doc positions, and ultimately defending the last 5 (soon to be 6) years of research to a committee of UMN faculty members. It’s terrifying! Way scarier than spitting cobras, getting stuck in the mud, or having lions roaring right outside the car window…at least in my opinion. So there’s good news and there’s bad news. Which would you like first? Good news? The other news is bad, I’m afraid. We just found out that the grant proposal we wrote to the National Science Foundation back in January got turned down. 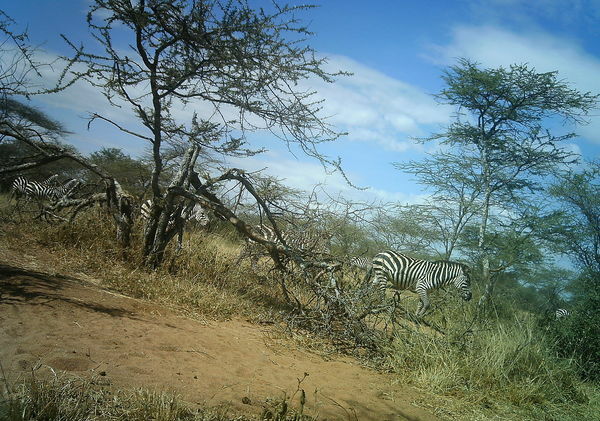 Our grant would have funded Snapshot Serengeti and the Serengeti Lion Project for another five years, and included money for scientists to continue to analyze all the data you’ve been generating by identifying animals in the Snapshot Serengeti images. Our proposal was reviewed by three other scientists independently and then talked about by a group of scientists who had our proposal and the three reviews to look at. Our three reviews varied. One person thought that our proposal was the most exciting project s/he had read yet this year. 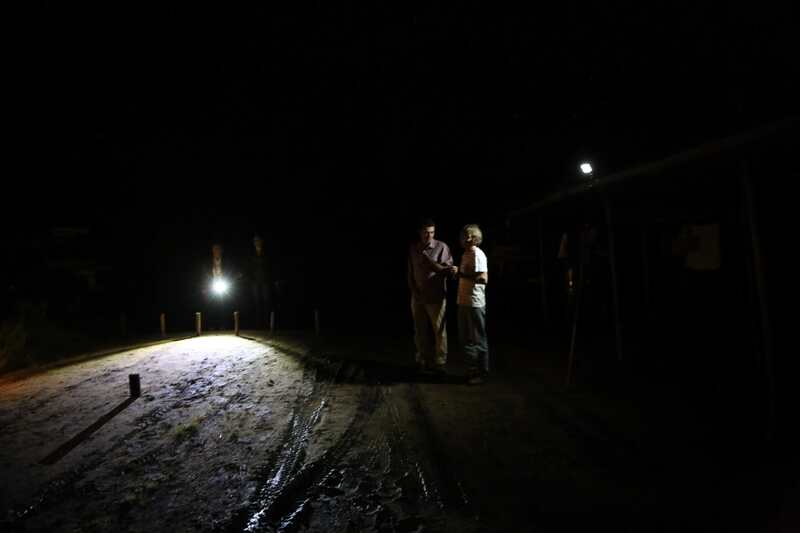 But the others were a bit concerned about exactly how we would analyze the data. This proposal was a “pre-proposal,” meaning that we only had a few pages to explain what we wanted to do, how we would do it, why it’s important, and the broader impact we would have. I guess we didn’t manage to get in enough of the “how” for these reviewers. We were all taken by surprise by the rejection. 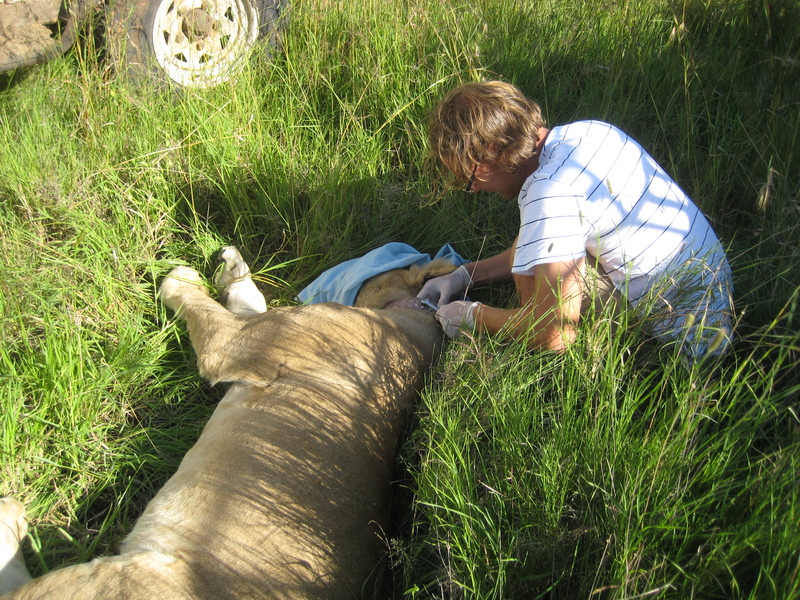 The Lion Research Center has been reliably funded by the National Science Foundation for decades. But things are changing. Firstly, this “pre-proposal” system is new; it’s only in its second year. And everyone — both proposal writers and proposal reviewers — are still figuring out what exactly should go in the new shorter pre-proposals. And secondly, the Sequester is still in place, so the National Science Foundation has less money to give out this coming year than usual. 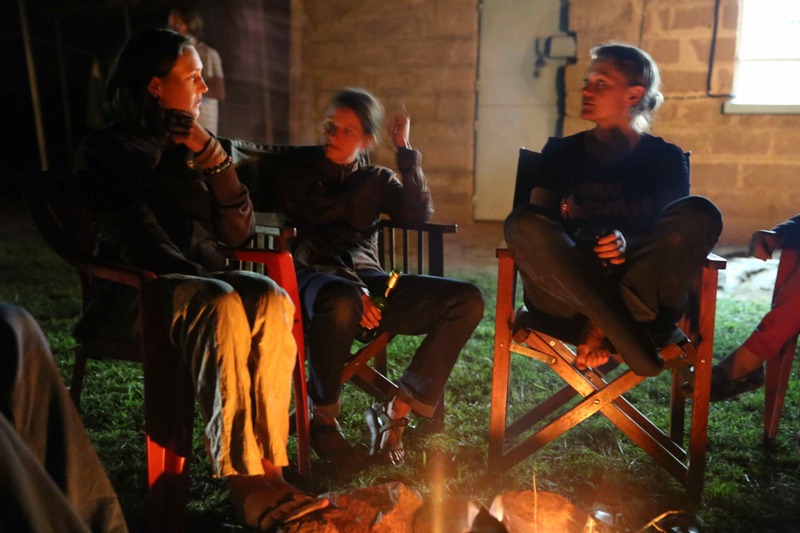 In any case, we’re now regrouping to come up with a new funding plan. 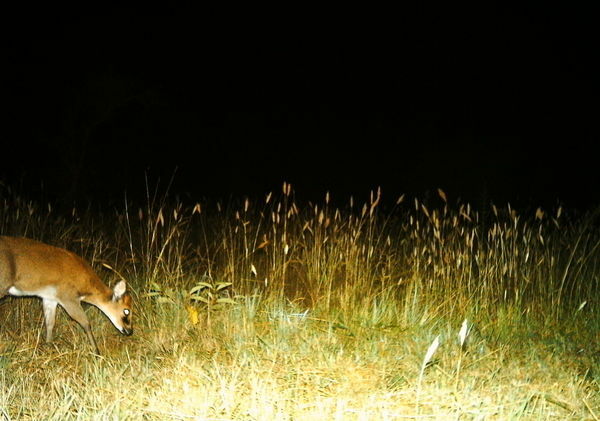 We’ll be able to apply again to the National Science Foundation in January 2014 to fund camera trapping starting in 2015. And we’ve got several papers that we plan to write in the next six months using Snapshot Serengeti data that we’ll be able to point to to show reviewers that we can properly analyze the data. Meanwhile, we’re going to try to keep the cameras rolling by looking for other funding sources to cover our year-long funding gap. Suggestions welcome. My last field season is drawing to a close. I’ve spent two and a half of the last four years living in Serengeti, and as much as I’ve missed my life in Minnesota, I can’t believe I’m really leaving Tanzania. Things have been a little hectic, so here I’m just posting some photos from my going away party. 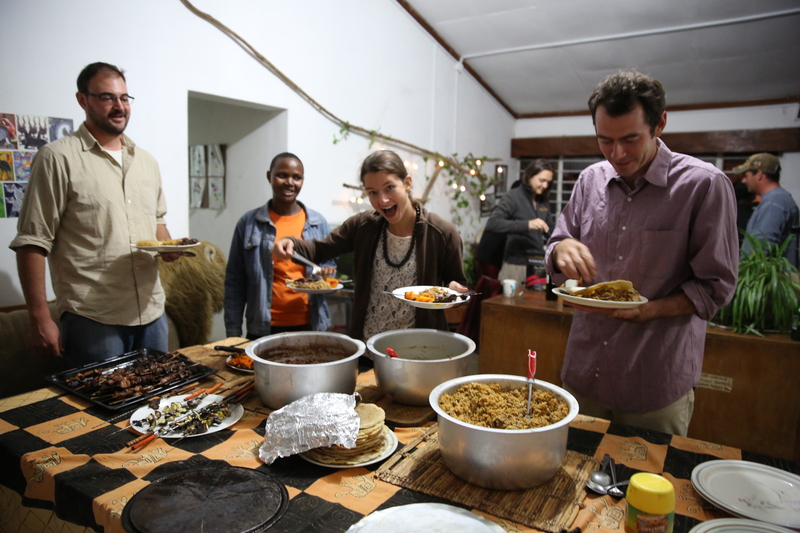 Winlady, who helps us with cleaning the house during the week, made delicious chapatis and pilau – a traditional spicy Tanzanian rice & meat dish. If I had any idea she was such a good cook, I’d have been bugging her for pilau every week! 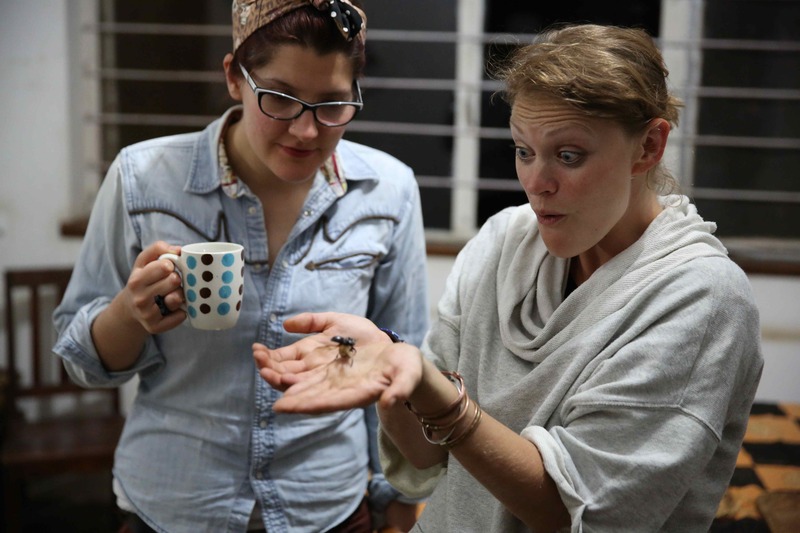 And then we had a visiting rhino beetle. Tom, a post-doc with the Savanna Dynamics research project, found me a going away present in the nearest town (Mugumu, ~ 3 hours away). This past week I’ve been reworking a paper about a study with Anna Mosser and Craig. The study asks the question: How did lions come to live in groups? It doesn’t seem like group-living in lions would be something you would spend much time thinking about – until you realize that lions are the only cat that regularly lives in groups. What’s special about lions? Craig’s work over the past decades has shown that seemingly intuitive ideas about why lions form groups are wrong. Lions don’t form groups in order to hunt more efficiently. Lions don’t form groups to cooperatively nurse their young. Lions don’t form groups to protect young against aggressive outsiders. Instead, it appears that the primary purpose of lion groups is to defend territories against other groups of lions. So territorial defense appears to be the key to group living in lions. But is territorial defense the only thing that matters? 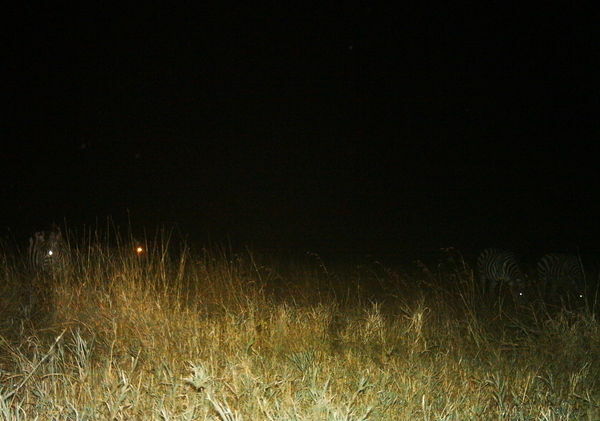 That’s what we set out to investigate. We created a computer model that simulates a bunch of lions living on a landscape. The model is a simplification of what happens in real life, but it contains some essential aspects of lion living. First, we have complex landscapes. 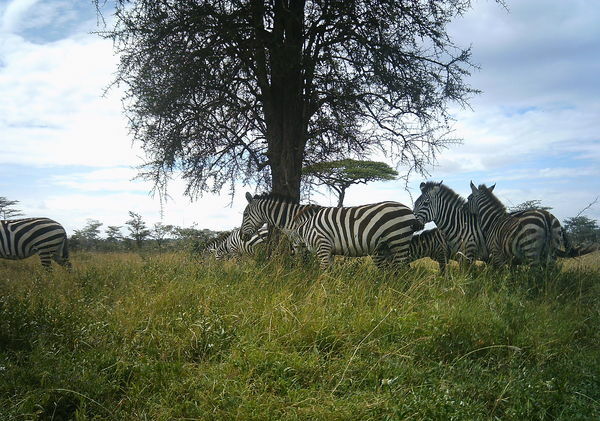 Previous research suggests that group territoriality is more likely in complex landscapes because there are highly desirable areas that are worth defending. If you had a landscape where everything was more or less the same, then you wouldn’t need to fight your neighbor over some small patch of it; you could just wander off and find your own patch that would be more-or-less the same quality as your neighbor’s. Second, we have various behaviors that we can turn on or off in our simulated lions. For example, we can tell them that they can live together in a territory, but they can’t cooperate to defend it. We can also tell them whether or not they can live in a territory with their parents when they grow up. And we can tell them whether they’re allowed to make their territory bigger if they recruit more lions into their group. By manipulating the types of landscapes and the various behaviors, we explored how often our simulated lions formed groups. Our results suggest that while territorial defense is important, it’s also important to have complex landscapes with high-value real estate. If the landscape isn’t very complex, then it’s easy enough to find an area to set up a territory without fighting for it. And if the landscape is complex, but doesn’t have any areas with high value, then there’s nothing worth fighting for or defending. It’s also important that lions be able to pass their valuable territories on to their offspring, for without inheritance, the benefits of all that fighting and defending are gone in a generation. Lions evolved on the savannas of East Africa, where the landscape is complex with patchy areas of high value (near where rivers come together, for example). Humans did too. It’s possible that the same sorts of savanna landscapes that shaped group living and territorial defense for lions did so for people, as well. The simulation model. White areas are high-value real-estate, while black areas are low-value. Red shapes show where lions have formed a group territory, while blue shapes show where there’s a territory defended by just a single lion. 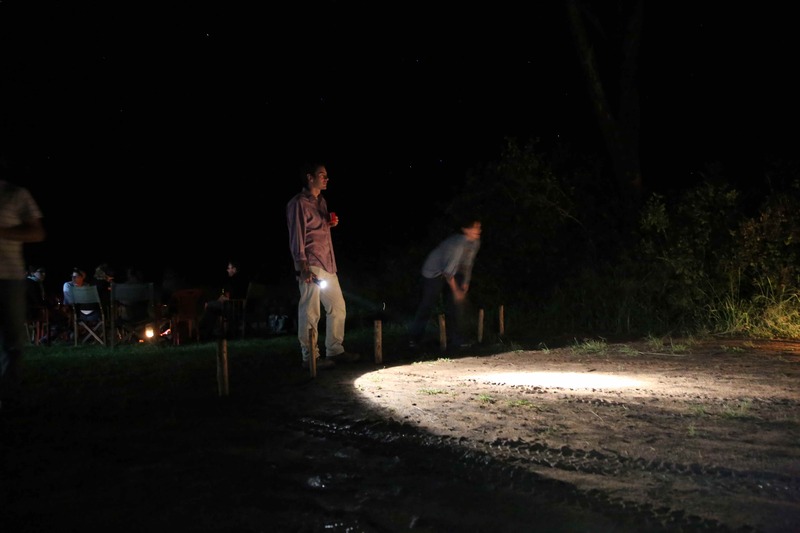 I recently gave a talk at the Arusha-based Interpretive Guide Society – a really cool group of people interested in learning more about the natural history of Tanzania’s places and animals. I’ve taken a few clips from the presentation that describe in a bit more detail how lions bully their competitors. Looking at the photos above (all nabbed from the internet), how many of you would like to be a wild dog? A leopard? A cheetah? There’s no doubt about it – lions are big, and mean and nasty. If you are any other carnivore species in the Serengeti – or across Africa, lions chase you, steal your food, even kill you. So what do you do? How do you survive? That’s essentially what my dissertation seeks to answer. 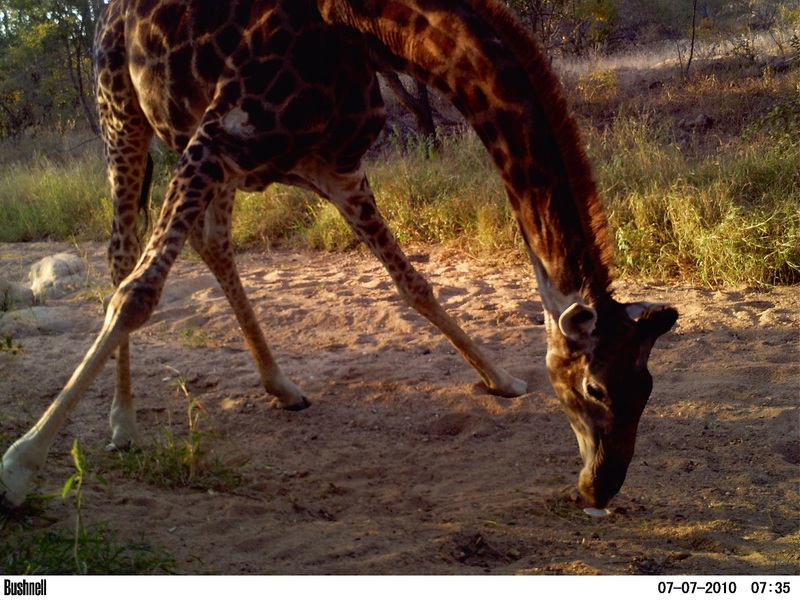 How smaller “large carnivores” – hyenas, leopards, cheetahs, and wild dogs — live with lions. Under what circumstances do they persist? Under what circumstances do they decline or even disappear? There are a handful of ways in which these species interact, but what I’m most interested in is aggression and it’s repercussions. 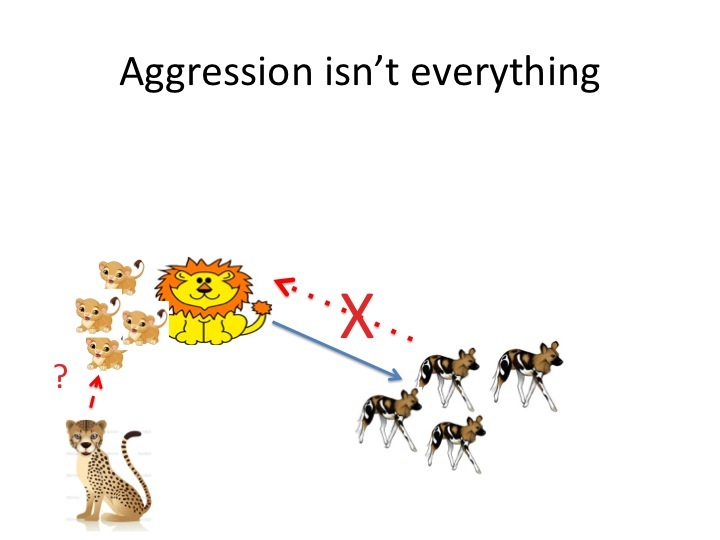 As the above pictures suggest, lions tend to dominate aggressive interactions. The relationship between lions and hyenas is one that has wormed its way into the public psyche through nature documentaries such as “Eternal Enemies.” While such movies play up the frequency of such interactions, they certainly do happen. 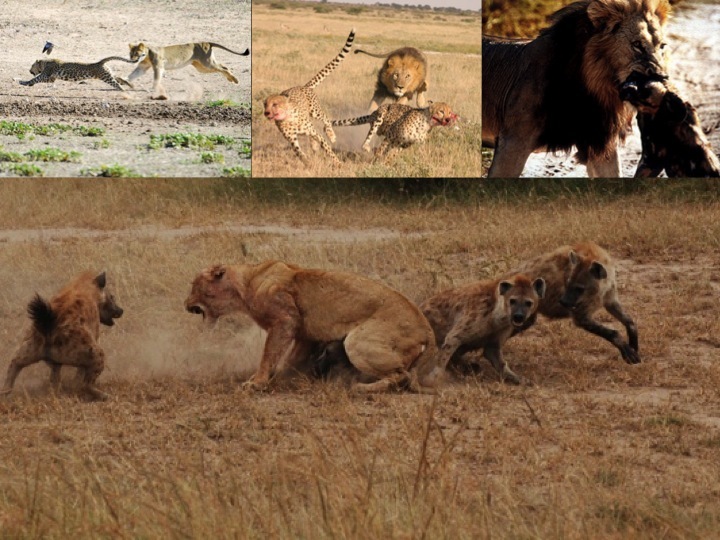 Lions not only kill a number of hyenas, but steal their hard-won kills. 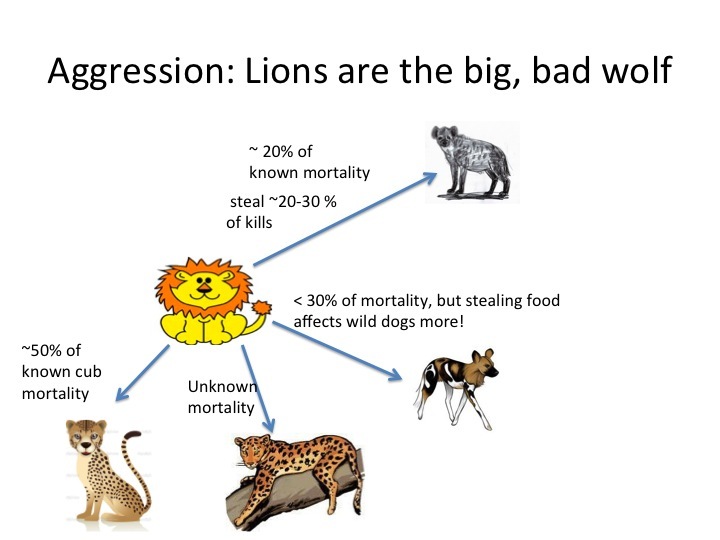 Dispel any notion of lions as some noble hunter — they in fact steal a lot of their food from other carnivores. 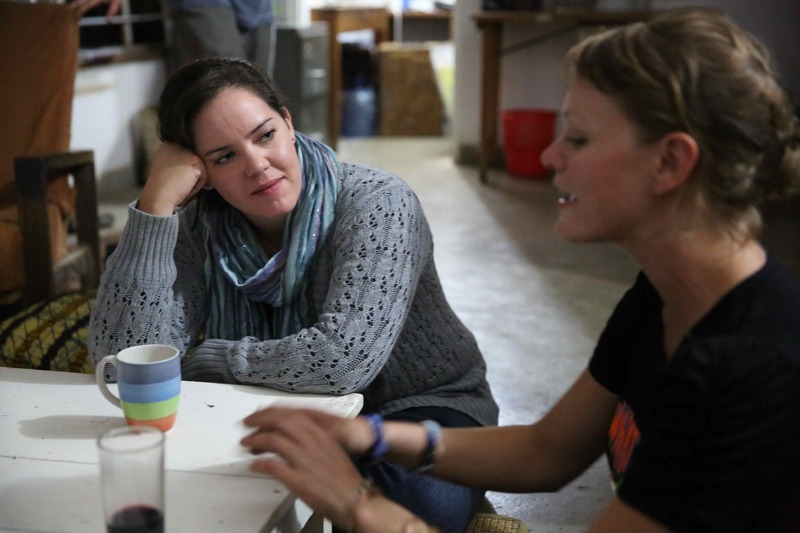 In fact, research from Kay Holekamp’s group in Masaai Mara indicates that lions can suppress hyena populations just because they steal food from them! It’s actually a similar story for wild dogs – lions kill wild dogs too, but since wild dogs expend so much energy hunting, that if lions steal just a small fraction of the food that wild dogs catch, wild dogs simply cannot recover. They would have to hunt for more hours than there are in a day to make up for this caloric loss. It doesn’t stop there. We don’t know how much food lions steal from cheetahs or leopards. We also don’t know how often lions kill leopards, but lions kill cheetah cubs left and right. Studies from Serengeti indicate that lions may be responsible for up to 57% of cheetah cub mortality! So how do hyenas, wild dogs, leopards, and cheetahs survive? Well, that’s what I’m trying to figure out. But what I can tell you is that not all of these smaller carnivores sit back and take their beating quietly. Take hyenas. They’re about 1/3 the size of a lion, but they live in groups. Big groups. Much bigger groups than lions. And if there are no male lions around, if hyenas have strength in numbers, they can steal food from female lions, and even kill their cubs. 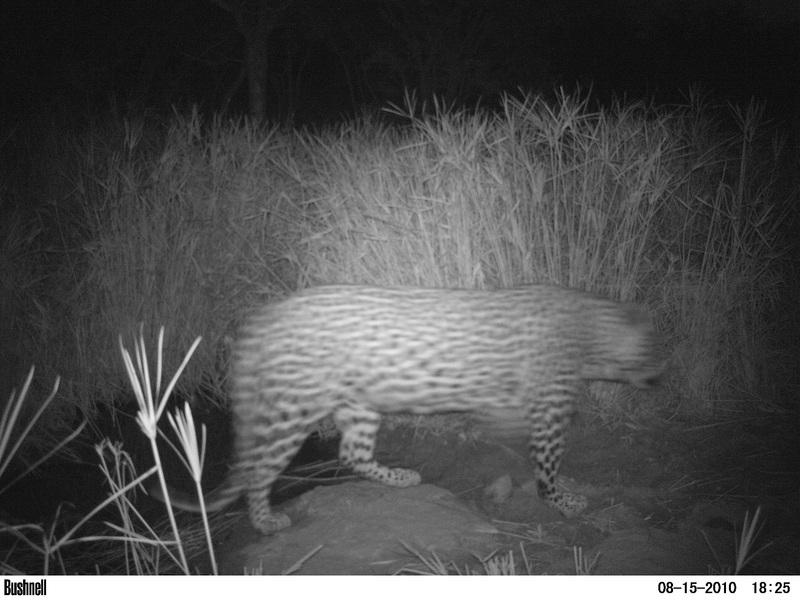 While leopards don’t live in groups, they can easily kill (and eat!) a lion cub that has been hidden while mom is away hunting. 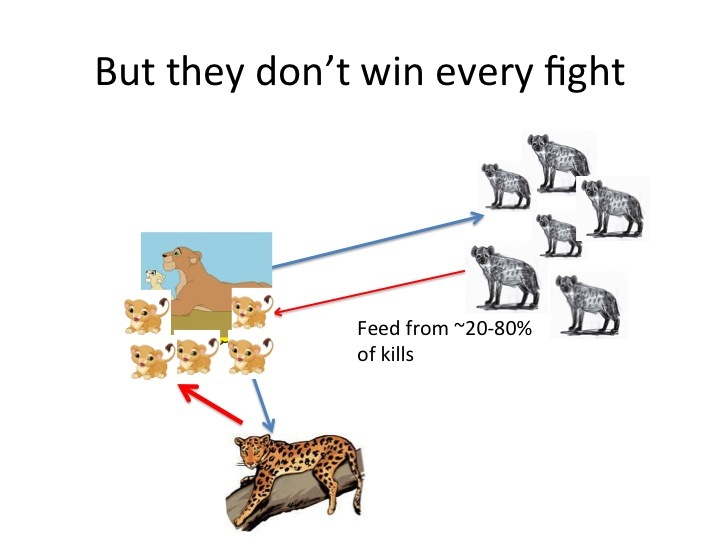 Unfortunately, what we don’t know is whether this reciprocal aggression by leopards and hyenas has any measurable affect on lion populations, and whether it’s this aggression that allows hyenas and leopards to coexist with lions. The cameras behind Snapshot Serengeti will provide the first-ever map of leopard and hyena distributions within the long-term lion study area – by comparing lion reproductive success (which we know from >45 years of watching individually identified animals) to leopard and hyena distributions, we can see if lions do better or worse in areas with lots of hyenas or leopards – and whether this is due to getting less food or producing fewer cubs. What about cheetahs and wild dogs? Even though wild dogs, like hyenas, live in groups, there’s no evidence that this helps them defend themselves or their kills against lions. And cheetahs, well, there’s no record of them killing lion cubs, but who knows? So how do these guys live with lions? To be honest, wild dogs don’t tend to do very well in places with lots of lions. 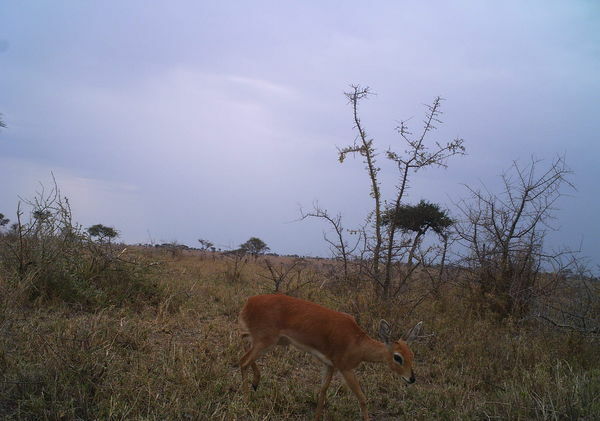 In fact, it’s generally believed that wild dogs have failed to recolonize Serengeti, despite living *just* a few km from the border, because lion populations are so high. 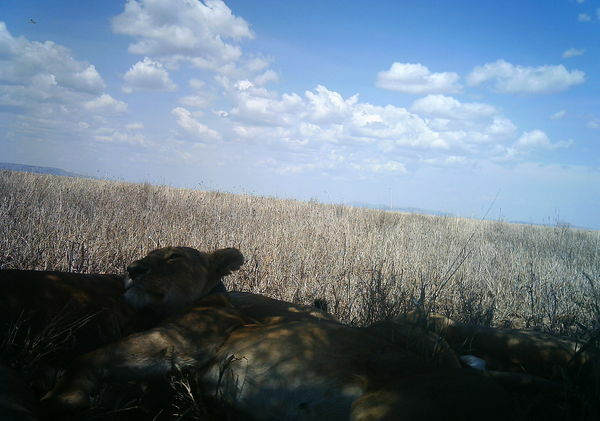 For a long time, researchers and conservationists believed that cheetahs also couldn’t survive in places with lots of lions – but that perception is beginning to change, due, in part, to data coming in from Snapshot Serengeti! It seems that cheetahs not only do just fine in reserves with lots of lions, but use the same areas within the park as lions do. I have a sneaking suspicion that how cheetahs use the habitat with respect to lions, how they avoid encountering lions even though they’re in the same places, holds the key to their success. 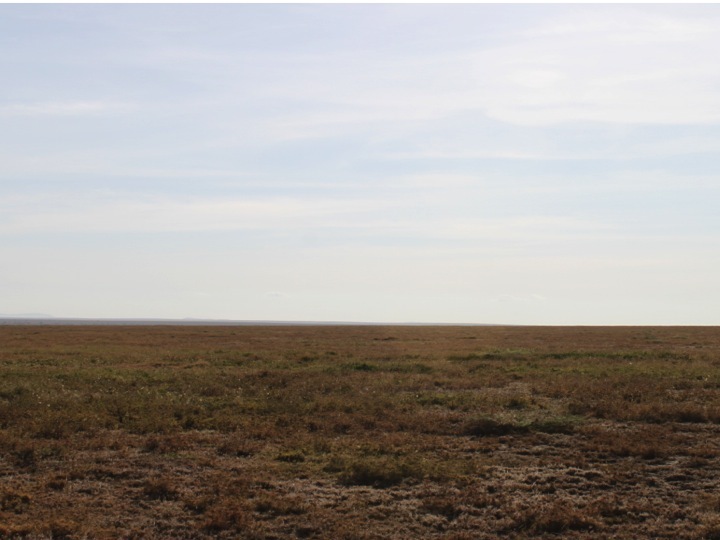 Avoidance, combined with habitat that makes avoidance possible (read: not the short grass Serengeti plains you see below). You might remember the Kibumbu pride from their rather gruesome encounter with a leopard. But probably not – that was a long time ago. They now have a new claim to fame. 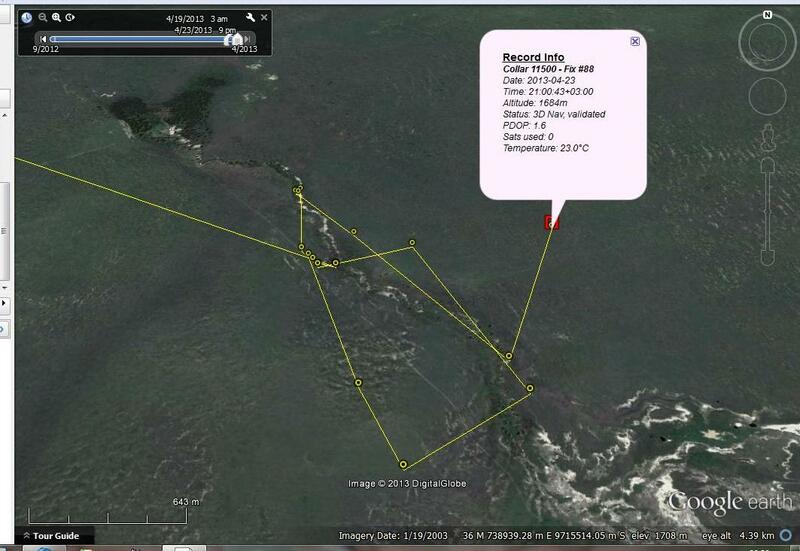 As of April 22, 2013, the Kibumbu lions became the first Serengeti pride to bear a GPS collar. GPS collars are cool, but if you are a nerd like me, and trying to calibrate 225 camera traps against the known reality of animal movements, GPS collars are really [expletive deleted] cool. With regular old radio-collars, we have to get out in the field, driving (seemingly aimlessly to bystanders) in circles on hills until we get a signal in the direction of a given lion pride. With 26 prides being monitored now, we get to each pride about once a week. 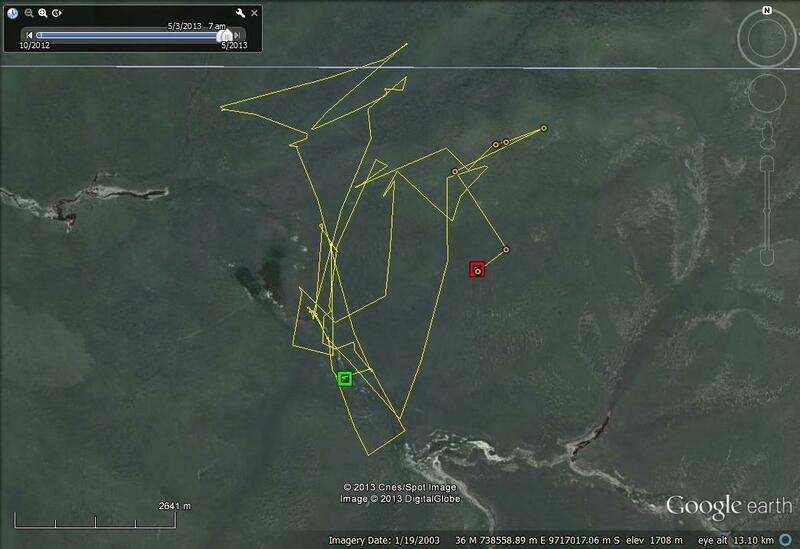 But with GPS collars, the data comes to US. On it’s own. EVERY HOUR. I can tell you where the lions are without ever leaving my hyena-chewed, baboom-mangled armchair. Data of this richness are simply impossible to get otherwise. I tried a few “all-night follows” – trying to serve as a living GPS collar. 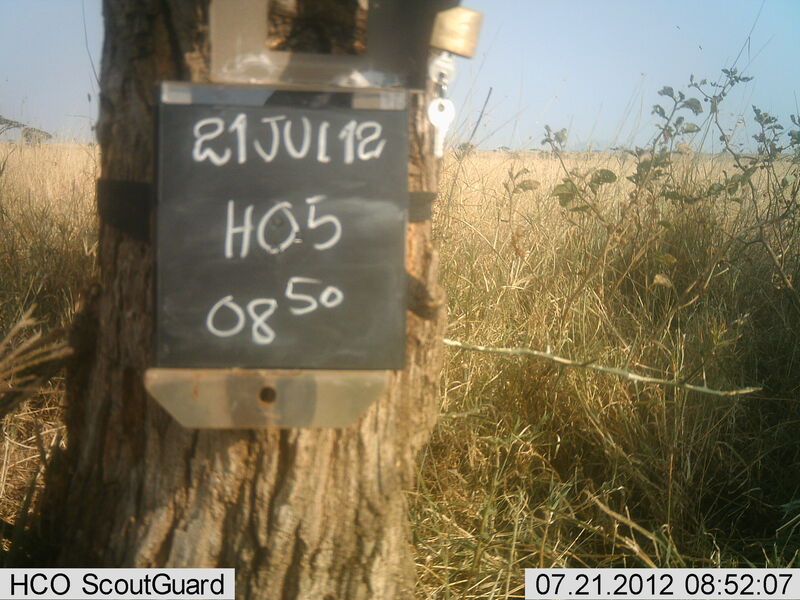 Trying to figure out why, when lions are lurking 300 meters from a camera trap, they don’t appear in it. I usually fall asleep by 9pm. Apparently I don’t make a very good GPS collar. You might wonder why on earth we don’t have 26 GPS collars, instead of 1. Unfortunately, they are expensive (read >$5,500 a pop), and the battery life doesn’t last as long as regular old VHF collars, meaning we would have to dart lions more often – which is a stress that we like to minimize. 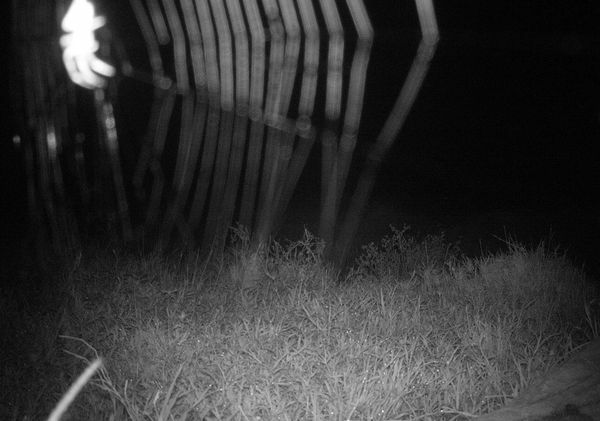 But Ingela Janssen had an extra collar from her conservation work in the Ngorongoro Conservation Area, and the chance of calibrating camera trap captures against hourly lion movements was too good to pass up! Here’s the first map of Kibumbu’s movements. The first position came in at 6pm on April 22, and the last was recorded on the 23rd at 9pm. Since lions are nocturnal, we take one position every hour from 6pm to 7am, and then one position during the day (at noon). You can see from the lines that lions can move quite a ways without actually getting very far. And here’s their latest map. I realize that these graphics don’t give you any sense of where in the study area the lions are. 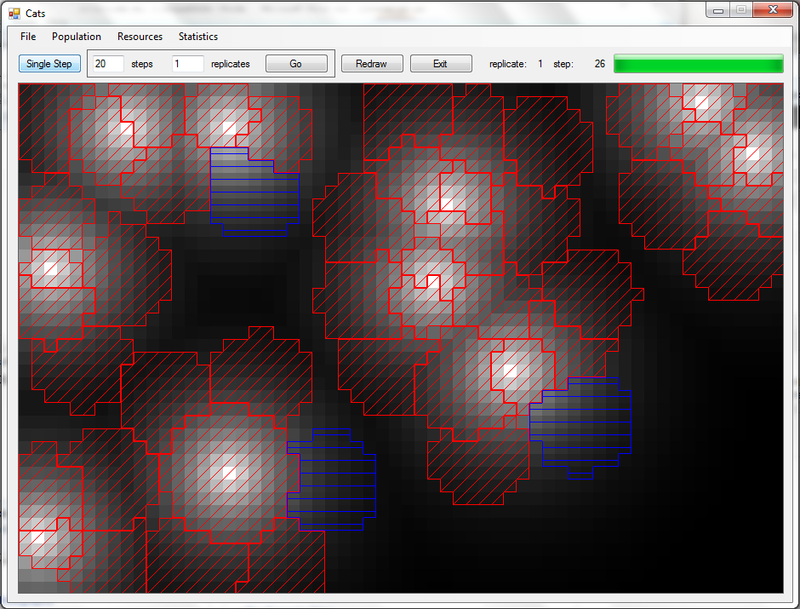 Until I figure out how to work some really cool magic with Google Earth, here’s a map of where the cameras are. 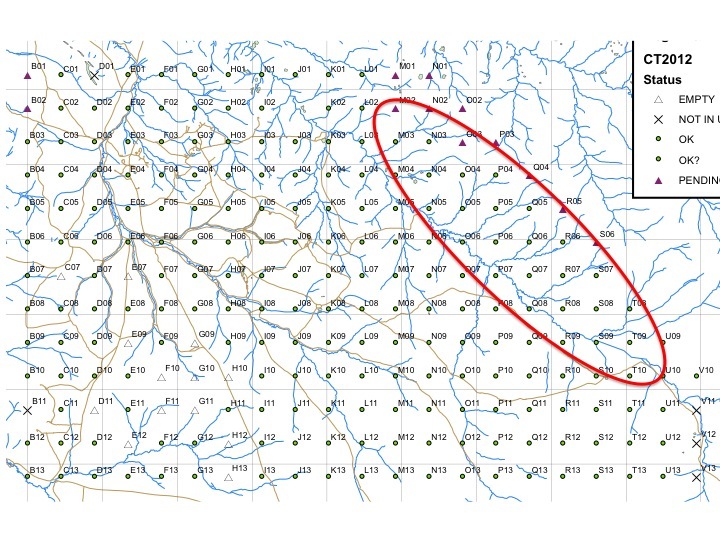 You can see from Kibumbu’s maps that they are hanging out along a (sometimes dry) river – the Ngare Nanyuki – which I’ve circled in red on this camera layout map.